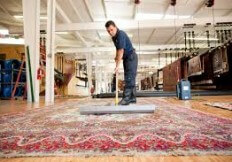 When was the last time your Oriental Rug was cleaned? Has it been more than three years? If it has been more than three years, you should consider bringing it in to our Shrewsbury location for a cleaning! When you bring your wool rug in, we will carefully inspect it to see if it does in fact need to be cleaned; the time period between the last time you’ve had your rug cleaned to the next cleaning will vary for each client. 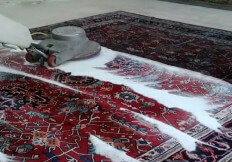 It all depends on the location of the rug and the amount of foot traffic it receives each day; some rugs will need cleaning sooner and more frequently than others. 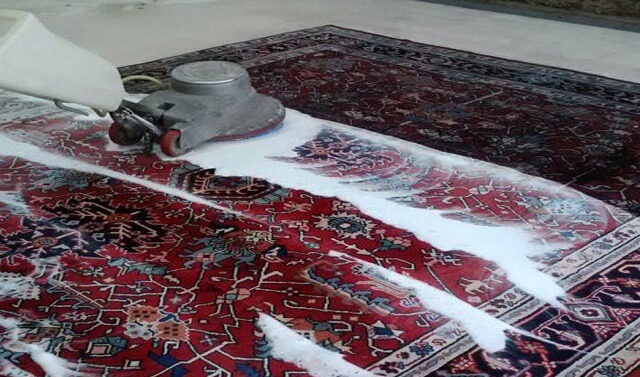 After five years of use, all oriental rugs are due for a professional cleaning; you pay a lot of money for your oriental rug, make sure you put the time and effort into properly caring for it. When you bring your rug into us, we will thoroughly clean both sides, including the fringe, as well as moisture and revive the wool. We will also inspect your rugs for any insect or moth populations, as well as any repairs that need to be made; we will notify you as soon as we spot any other problem with your rug. Once you have had it cleaned with us, how do you maintain the cleanliness? We recommend vacuuming your wool rug once a week. Over a given area of your rug, you should vacuum it lightly three times over. When vacuuming, you have to be patient, it does take some time! Be sure to go through each section of the rug slowly so that the vacuum is able to properly suction and remove all embedded soil particles. To prevent stains we recommend fabric protector; this product is great for light-colored rugs, as well as wall to wall carpet and furniture! Mothproofing and deodorizing is another important step in your rug care process; mothproofing will protect your wool from insects, and deodorizing will eliminate recurring pet odor in your rug. For more information about our rug cleaning services, please give Persia Oriental Rugs a call at 508-753-4667.